With all the buzz Windows Phone 8 and the Nokia Lumia 920 are generating, it’s no surprise that AT&T decided to spring the cash needed to get exclusivity for the Finnish company’s upcoming premium handset. According to reports, the US carrier will have sole rights to the device for six months after launch. If all the hype and interest on the Nokia Lumia 920 translates to sales, AT&T could be in for a massive windfall. Having exclusive rights means that for half a year, the easiest way to get a Nokia Lumia 920 in the US would be through them. AT&T will also be the cheapest way to get the device, assuming you’ll be obtaining it with a contract. And if people decide that the Nokia Lumia 920 is indeed a must-have device, that discount with a contract could be a big thing, especially with rumors that the Nokia Lumia 920 may cost upwards of $700. But with a lot riding on the Lumia 920, agreeing to an exclusive deal with AT&T is also a risky move for Nokia. What if people decide that the smartphone is not a good enough reason to sign up with that carrier? That would be six months worth of ground lost in trying to get their new device to as many people as possible. And with all the amazing smartphones rumored to be in the pipeline, like the HTC DLX and the Sony Odin, the Nokia Lumia 920 won’t be as hot a commodity by then as it is now. We’ll know in a few short weeks if Nokia Lumia 920 going exclusive to AT&T will pay off for both companies. 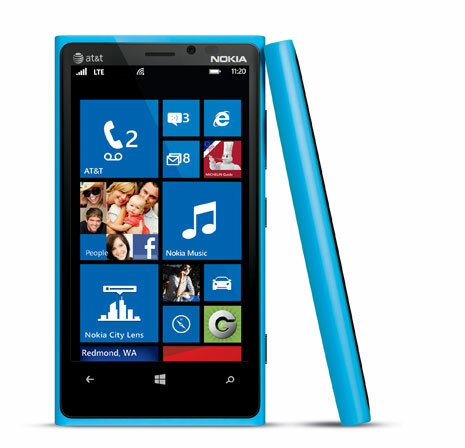 Is the Nokia Lumia 920 enough reason for you to sign up or stay with AT&T? Do you think the partnership between Nokia and AT&T will be beneficial to both companies? Discuss in the comments below!